Found 6 file extension associations related to Adobe Bridge for Mac and 5 file formats developed specifically for use with Adobe Bridge for Mac. 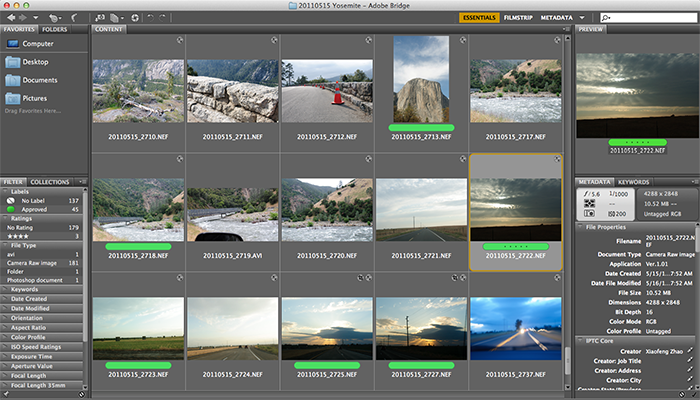 Adobe Bridge is a powerful media manager to work with various digitals assets. Cut through the chaos of asset management. Easily find, sort, filter, and organize your photos, graphics, videos, and other digital assets. Intuitive, high-performance, 64-bit Adobe Bridge CC — available only in Creative Cloud. Also for Mac OS X! If you need more information please contact the developers of Adobe Bridge for Mac (Adobe Systems Incorporated), or check out their product website.